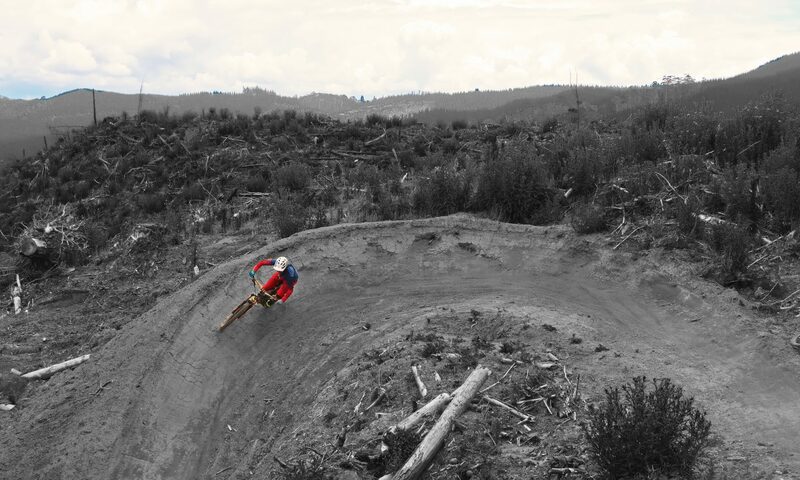 The Tahoe Rim & Flume Trail is a legendary MTB-ride through fascinating nature with stunning views. It is best done as shuttle ride starting at Tahoe Meadows on the Tahoe Rim Trail (shuttle services are available in Incline Village). The trails are mostly smooth and easy, but the rocks and boulders add spice, particularly on the TRT. Jumping down boulders is fun, but in the uphill sections the rocks cause some challenges. Perhaps the biggest challenge on the Flume Trail is to keep the eyes on the trail despite the stunning views. 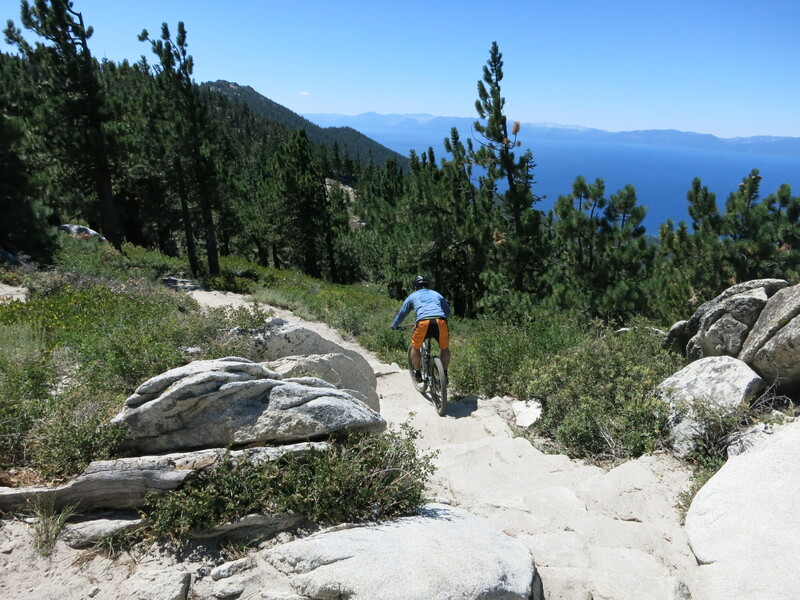 The Tahoe Rim Trail circles the Lake Tahoe but not the entire trail is open for bikes. The part of the TRT in this ride is open to bikes only on even numbered days and quite some traffic (hikers and mountain bikers) should be expected during the summer months. I loved the ride on the Rim Trail with all the rock steps up and down providing little kicks to the smooth trail. The ride on the Flume Trail was to me a sort of nature theatre. The lower half of the Flume Trail and the section around Marlette Lake is on dual-track and less exciting. Altogether the 40 km / 25 miles long ride is experience no mountain biker should miss.